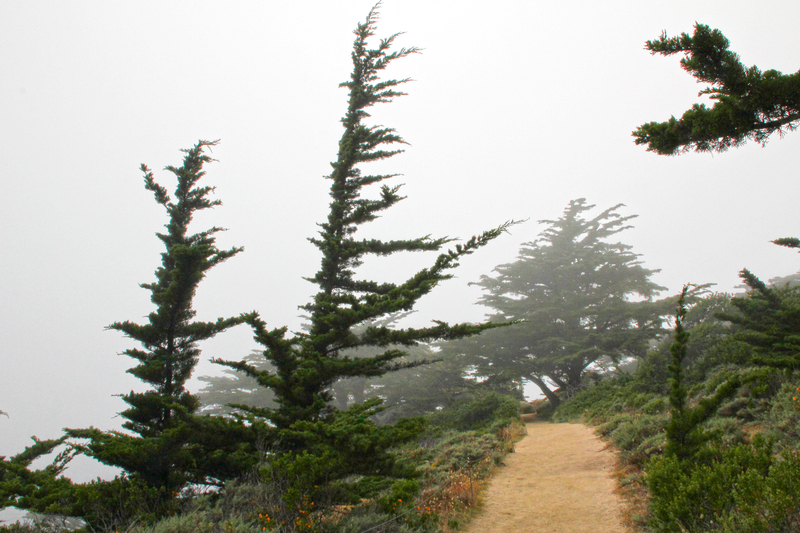 Cypress Point Trail in Fog featuring extremely rare Monterey Cypress trees at Point Lobos State Natural Reserve, California. The trees’ striking appearance is the result of constant buffeting by the wind and salt spray. The trees grow naturally only at two places on Earth – Point Lobos and 17-Mile Drive’s Cypress Point along Monterey Bay.